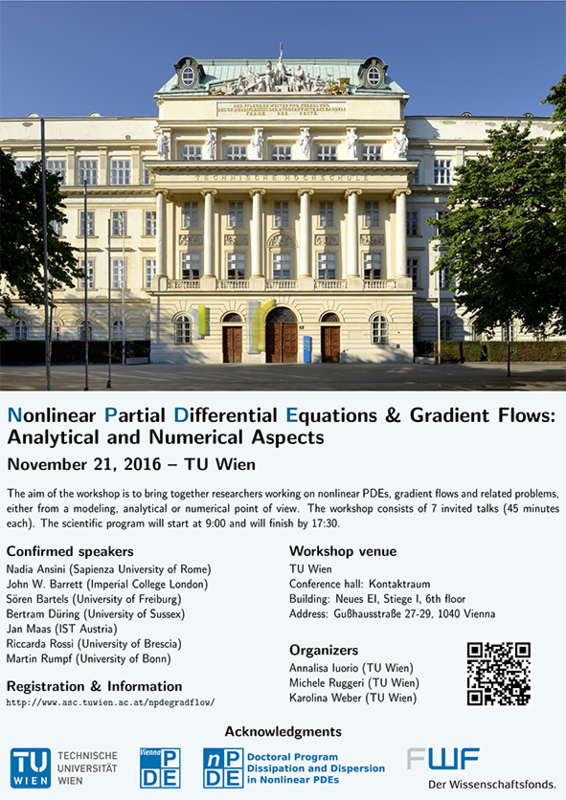 The aim of the workshop is to bring together researchers working on nonlinear PDEs, gradient flows and related problems, either from a modeling, analytical or numerical point of view. The workshop will consist of 7 invited talks (45 minutes each). The scientific program will start at 9:00 on Monday 21 November 2016 and will finish by 17:30. A lunch buffet will be provided. 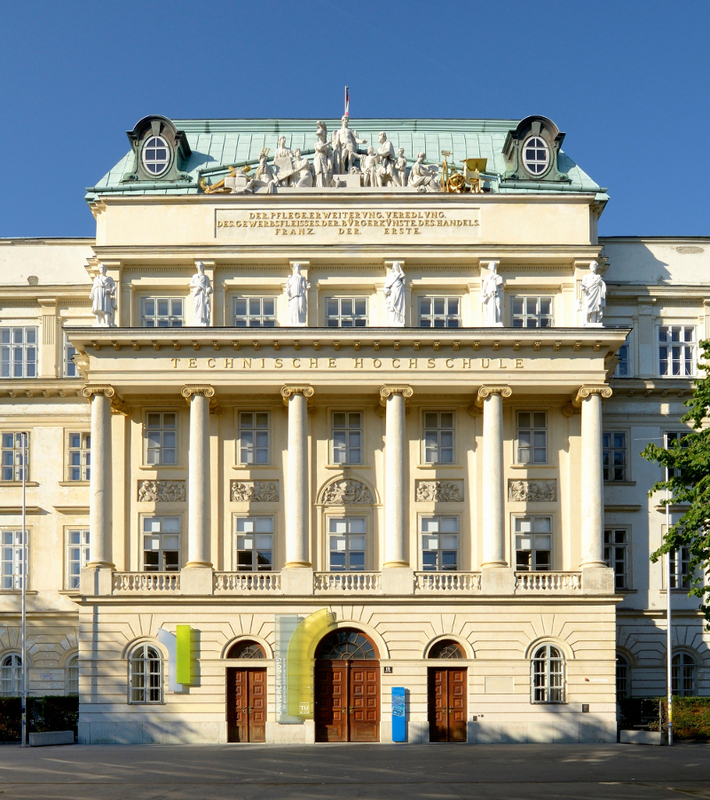 The workshop is organized in the frame of the doctoral school Dissipation and Dispersion in nonlinear PDEs, funded by the Austrian Science Fund (FWF) under grant W1245. In addition, we acknowledge the support of the Vienna Center for Partial Differential Equations as well as the financial support of Wiener Städtische (Vienna Insurance Group). The registration is free of charge but mandatory. If you wish to attend, we kindly ask you to contact the organizers at michele.ruggeri@tuwien.ac.at by October 31, 2016. Please specify the subject "NPDEs and Gradient Flows - Registration" and include the usual information (name, affiliation, email address). After the registration, a message of confirmation shall be received from the organizers.